Triphalla, Trikatu, Chavya, Mandoor Bhasma. 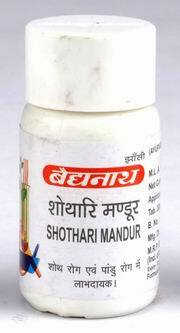 Dropsy, anaemia, cough, asthma, spleen & liver disorders. 1 – 2 Tablets twice a day with luke warm water.